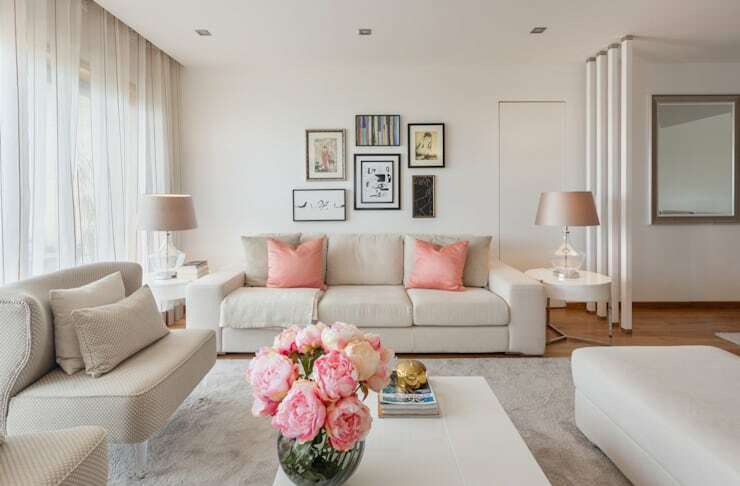 Luxury home interiors don’t have to come with a large price tag; on the contrary, a lot can be achieved with very little, and we’re here to show you how! The living room is undeniably one of the main rooms within the home, and for this reason, it is where we will be focusing our attention today. Whether you are hoping to save a little money, or simply re-think your interior aesthetic, we’re sure we’ve got something to suit you. 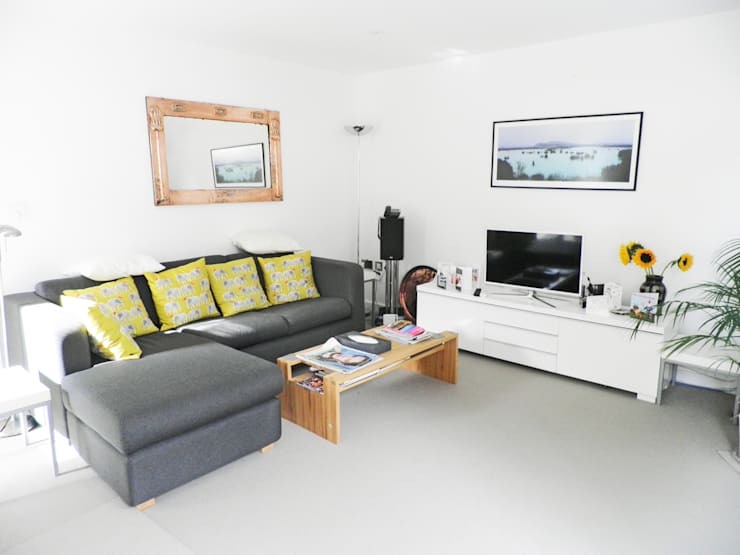 If you’re interested in learning more, and perhaps giving your dwelling a stylish, inexpensive face-lift, then take a peek at our examples below! 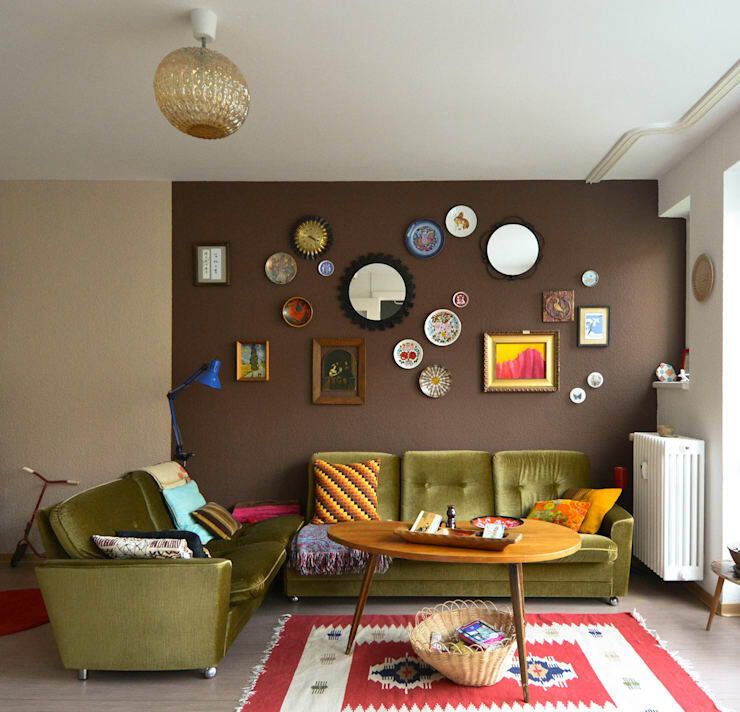 One of the simplest ways to give your living room a low-cost luxury makeover is to paint your frames in an opulent hue. Mirrors work exceptionally well, and look great refreshed with some gold, pewter or copper paint. Salon style, or gallery walls as they are also known, are the epitome of luxury and style. Imparting a French aesthetic (due to their origins in Paris), these simple to create, and gorgeous living room additions act as an eye-catching feature. 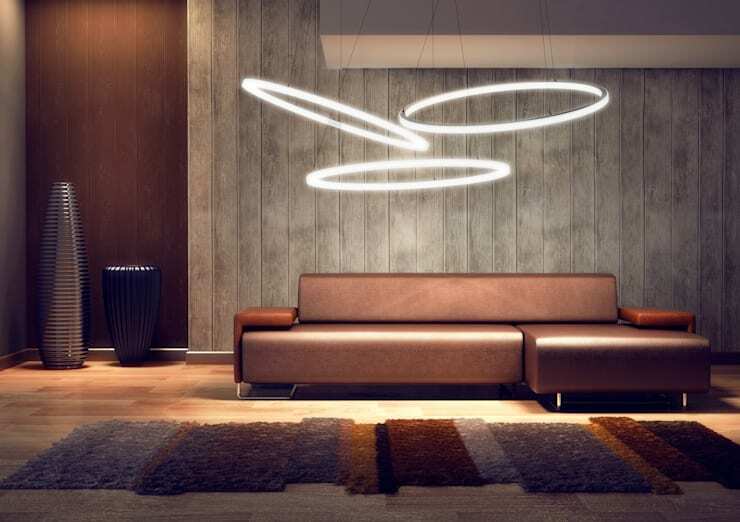 A feature light can add a sense of luxury and opulence, with minimal effort. Look at spending your money on one single light, which hangs in a central position, contributing a sense of impressive refinement and attention-grabbing style. Flowers are inexpensive, yet bring a huge volume of life, colour and energy into a room. In addition, they enhance a space by injecting a sense of magnificence and indulgence. Focus on a feature seat within your living room to add that extra dash of luxury. To save money, you might want to reupholster your favourite armchair, or invest in a statement seat such as this neat suspended example in the image above. If you need additional assistance with your living room design, chat to an interior designer and get a little expert advice today! Luxurious rooms often follow a specific theme or scheme within their interior. 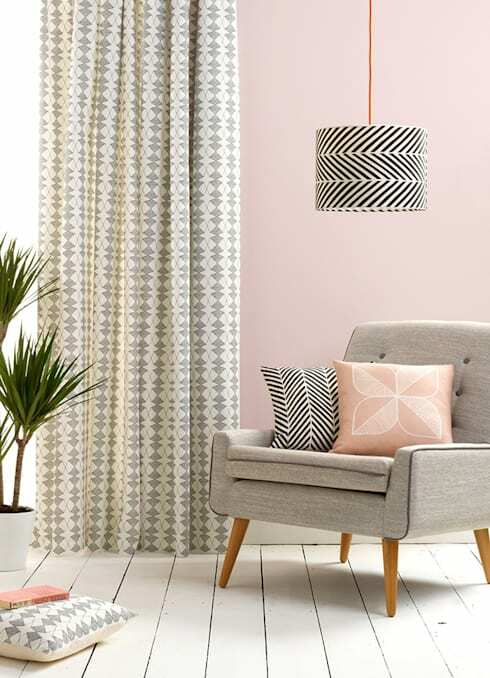 Employ throw cushions, rugs and light fittings that match, while contrasting with different patterns for other areas such as your curtains. Designer items often come with a hefty price tag, but similar on-trend examples can often be found if you look hard enough. Search online for accessories that evoke a feeling of opulent modernity, and add them alongside your other accoutrements and furniture. Nothing says luxury and opulence like a fabulous array of cocktail making instruments and delectable beverages. 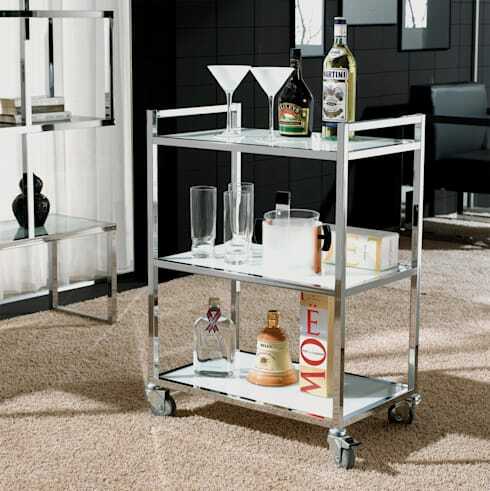 Head to your local second hand shop, or have a look online and invest in an inexpensive bar cart or trolley. Alternatively, devote a few shelves of your bookshelf to some classic glassware, and watch the ambience in your room improve tenfold! Clutter is the opposite of luxury, and does nothing to enhance your overall ambience or living room atmosphere. Instead of actually adding anything to your room, consider removing items that detract from your desired aura, and go for a more minimal pared-back design. Finally, one of the best ways to incorporate a little luxury into your living room is to add a console table and some matching artwork. Oozing opulence, having a console space will provide you with a central focal point for the space, which can be achieved easily and inexpensively. 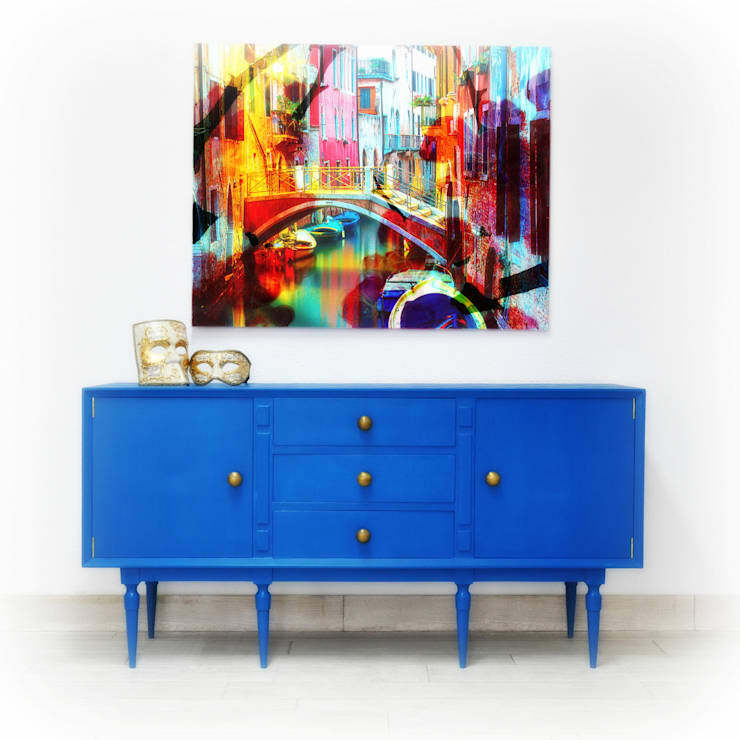 Update some of your existing furniture, or get creative and make some art of your own. Either way, you will impart a sophisticated aesthetic, which is sure to add a touch of luxury. Want more? 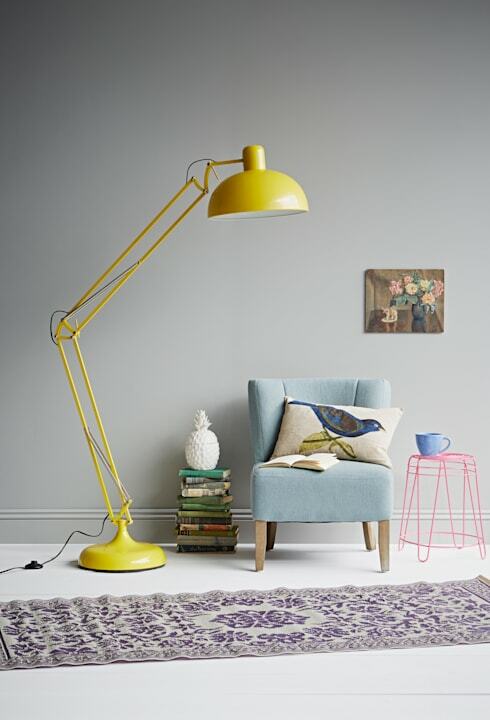 Check out: How to get the perfect lighting in every room, and continue reading! 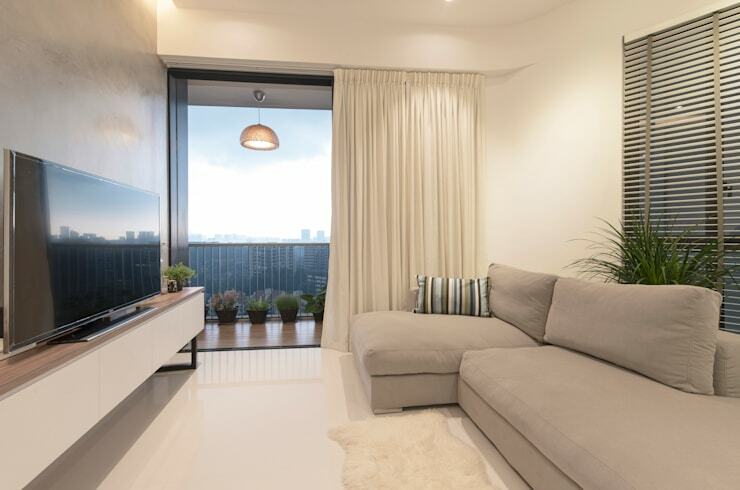 How do you give your living room a boost of luxury and lavishness?